may now tell a story tens of thousands of years old. Aboriginal and Torres Strait Islander readers are warned that the following story may contain images of deceased persons. Now seen as DNA samples, the thousands of hair strands can be used to reveal the history of Indigenous people and their attachment to land – but will descendants approve? 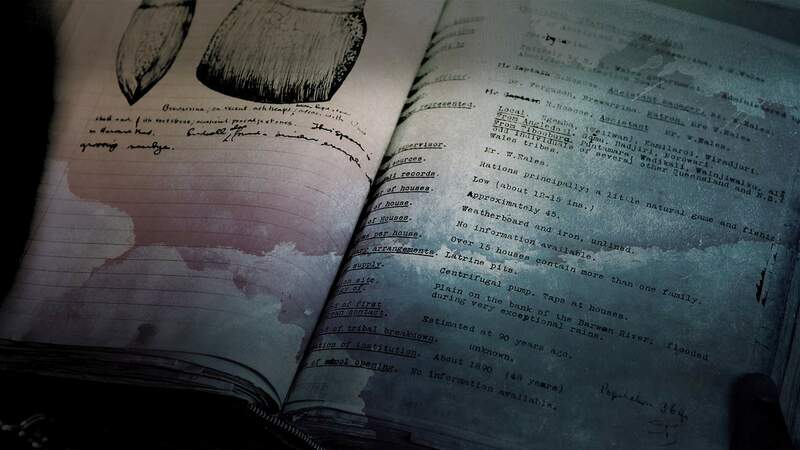 In a locked room in Adelaide, stored among the South Australian Museum’s collection of Aboriginal cultural items too sensitive or sacred to be publicly displayed, sits a filing cabinet full of envelopes. There are around 7,000 of them, each of them small and neatly labelled with an inky handwritten number, and each holding a lock of human hair. Collected from Aboriginal men, women and children by anthropologists in the 1930s and 1950s, the hair was snipped, had its colour and texture noted and was then consigned to nearly a century of obscurity. Now an ambitious project, bringing together geneticists and those Aboriginal people’s descendants, is aiming to use these thousands of aged strands of hair to piece together 50,000 years of our continent’s genetic history. Tindale watching one of his colleagues at work on a wireless in 1930. First essential step: finding the living descendants of those whose hair was sampled and getting their permission for the testing to be done. Using the investigative muscle of DNA analysis, the Aboriginal Heritage Project plans to use information stored in the hair to map Aboriginal genetic history, revealing ancient lineages and ancestral population structures interrupted by forced resettlement onto reserves and missions, as well as reconstructing patterns of movement across a landscape marked by severe climactic and environmental upheavals. “It’s using genetics as a tool to get at history and that’s what we are reconstructing – the history of the communities and the families and the ways in which people in different parts of the country survived and existed,” says Cooper. His three-man team will analyse 20 hair samples from 20 communities over the next three years – modest-sounding perhaps, but in reality an enormous task given the logistical challenges of the first essential step: finding the living descendants of those whose hair was sampled and getting their permission for the testing to be done. Left Professor Alan Cooper / Right Dr Ray Tobler. That’s why the key to the project’s success, says Cooper, will be close consultation with Aboriginal people, being facilitated by a small but committed team of Aboriginal staff at the Museum, who are organising visits to communities and will work alongside Cooper’s team once there to explain the project and answer the myriad questions people have. It’s a long-term commitment - despite limited funding, the team will return the DNA results back to each community in person, sitting down to explain each genetic story with participating families individually. “We’re not just taking what we want with a ‘thanks very much.’ It’s much more inclusive,” says ACAD geneticist Ray Tobler. At the Museum, Aboriginal consultants Isabel O’Loughlin and Amy O’Donoghue spend hours on the phone making contact with communities in an effort to track down the right people. Using Tindale’s precise notes as a starting point, the pair trawl through community organisations, electoral rolls, phone records, and rely on family networks and word of mouth though names have often changed or vary in spelling, people have moved on or records are incomplete. With only enough funding to employ them part-time, it’s slow work. Top left - Tindale riding a camel in South Australia’s Glen Ferdinand Musgrave Range, July 1933. 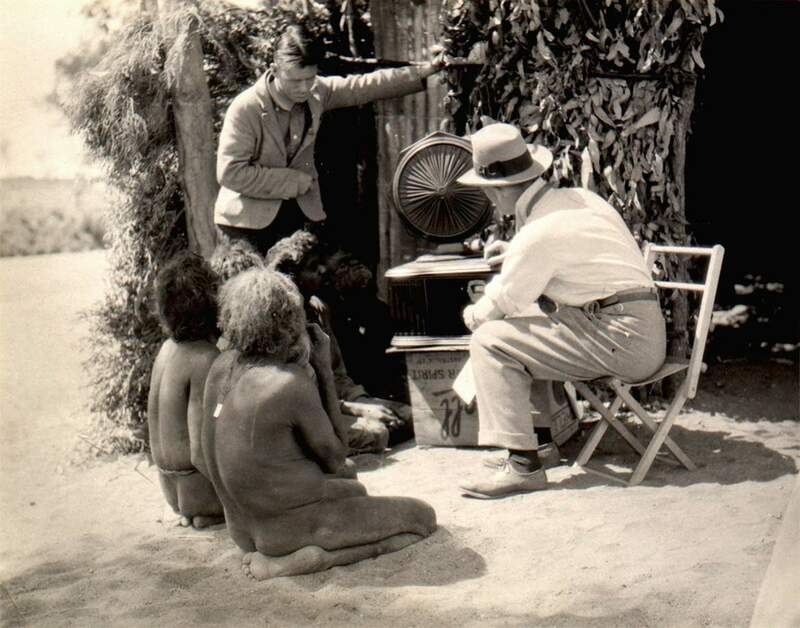 Top right - Tindale photographing an Indigenous man making an axe in South Australia, 1930. Below, left to right - Norman Tindale, Birdsell’s wife Esther and Joseph Birdsell, 1952. The researchers were accompanied by their wives on both expeditions. Once consent is given, the right sample is easily identified, thanks to Tindale’s indexing system, and retrieved using gloves and face masks to avoid contamination with modern DNA. Of the finger’s-width lock of hair, only about a third is needed for analysis, and to date 64 samples, from two pilot communities, at Point Pearce in South Australia and Cherbourg in Queensland, have been tested in ACAD’s purpose-built, state-of-the-art lab, housed in a converted tram barn on the edge of Adelaide’s Botanic Gardens. A further 47, from the South Australian community of Koonibba, will have minute fragments of DNA extracted in coming weeks. For Tobler, involvement in the project offers a rare chance to combine scientific excitement with personal interest. Raised in New Zealand but with Aboriginal ancestors on his father’s side, Tobler was working on a DNA project in Vienna when he heard Alan Cooper being interviewed on a New Zealand radio station about his plans. “I thought it sounded incredible,” he says. 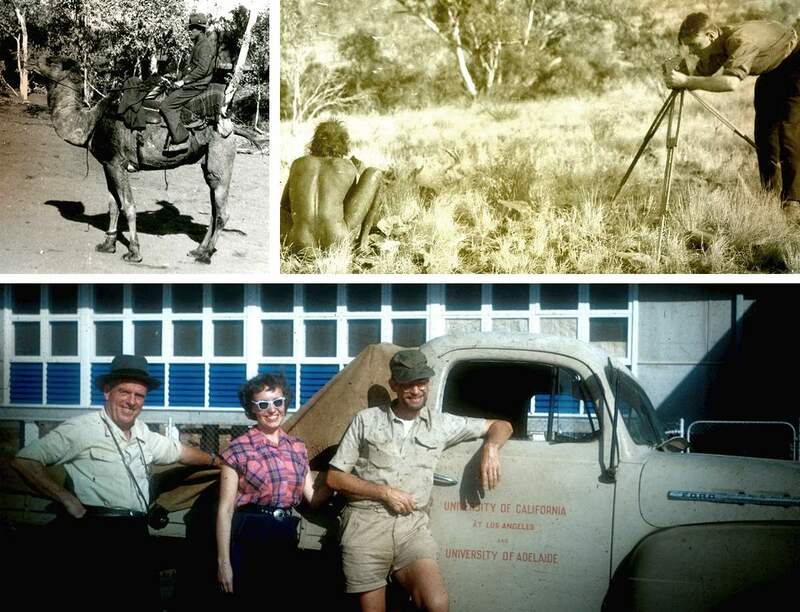 He contacted Cooper and wound up working alongside him on an indigenous research fellowship. Like Cooper, he’s long been fascinated by the genetic questions still to be answered in Australia. “So much work is being done around the world (on evolutionary genetics) that in Australia it’s conspicuous by its absence,” he says. Tobler’s focus now is on the hair’s mitochondrial DNA – transmitted only through the female lineage, from mother to child – found in the shaft of each strand of hair. Once the DNA is extracted, Ray Tobler can begin building a complex family tree, working out how long ago different samples shared a common ancestor by tracking the number of genetic mutations, which occur at a certain rate over time, between them. In some of the DNA from the hair samples, it seems that connection last occurred many thousands of years ago. 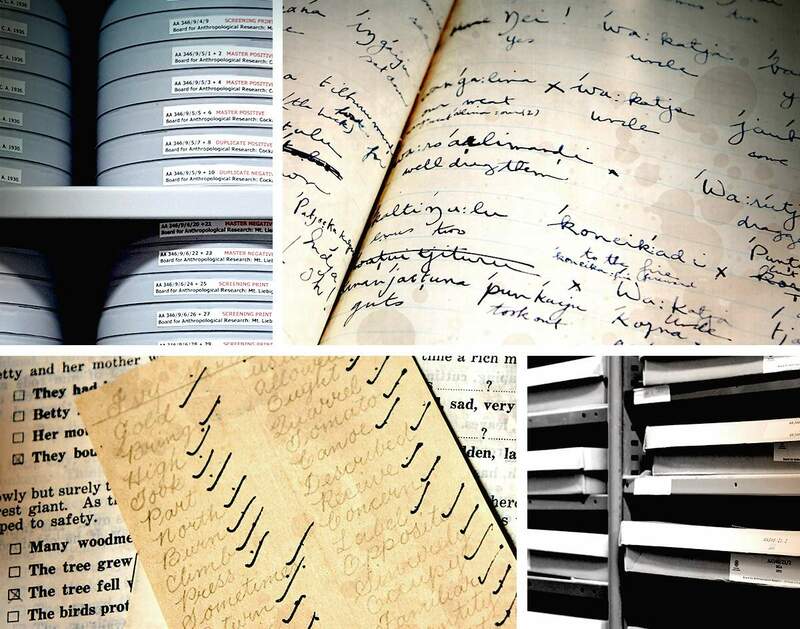 A peek inside the archives of South Australian Museum. Results so far, which show evidence of very old genetic clusters, have astounded Cooper. “They are suggesting a continuity on the landscape which is awe-inspiring,” he says. “I would have thought all that history, all that time, all those events would have caused people to move and mix and go walkabout – and yet what we’re seeing in the genetics backs up the idea of an attachment to country to a level which I never would have thought possible.” Tindale’s records, which for most people involved four or five data cards full of details, and the geographical spread of the expeditions throughout the country, play an invaluable support role, providing birth places and traditional lands for several generations in most families which Cooper’s team can draw on. “Without all that metadata – where someone’s mother or grandmother was from, what was her native tongue, what was her country – and given that by the time the sample was taken most of these people had been uprooted and forced into missions – without that information it would mean all you would have is a whole bunch of samples from this mission or that mission, which would tell you bugger all about the history of Australia,” says Cooper. Cooper remains amazed by how little is known by Western science of Australia’s pre-European history - and by how little many Australians seem troubled by that gap. Linking the very personal impact for Aboriginal people of exploring their family’s story with the potential international significance is very much on Alan Cooper’s mind. While several researchers are currently looking at modern Aboriginal DNA, Cooper remains amazed by how little is known by Western science of Australia’s pre-European history - and by how little many Australians seem troubled by that gap. He hopes that with additional funding, more Aboriginal staff can be employed to widen the project’s reach, and help create a digital map of Australia which can have emerging genetic patterns – anonymized except for identifying personal codes - updated in real-time. He likes to imagine a copy of such a map hanging one day on classroom walls, part of a deeper appreciation of the continent’s long and rich story. This month, SBS Explores Identity. Watch DNA Nation, starting Sunday 22 May on SBS. The first episode is available on SBS On Demand now.